If we do not have the OTC item you are looking for in stock, we will be glad to check with our wholesalers and see if we can order it and have it the next business day! We keep hard to find items such as Liquid Glass, Spirits of Ammonia, and much more. We have a newly expanded $1.00 section. 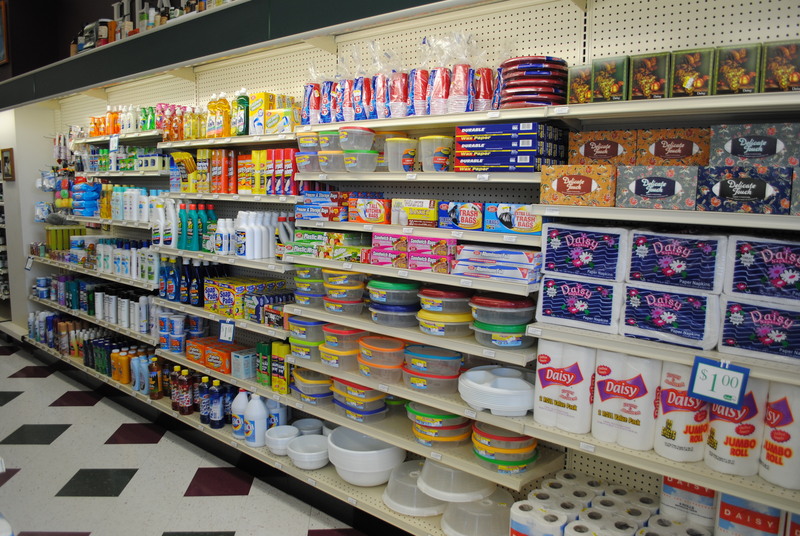 We have paper products, cleaners, aluminum foil, plastic wrap, bleach, air freshener, hygiene items, cake carriers, bowls, microwavable dinner plates and so much more.